Porsche AG set new records for deliveries, revenue and operating results in the 2017 financial year, delivering a total of 246,375 vehicles (+4 per cent) and increasing its revenue by five per cent – to 23.5 billion euro. Its operating profit rose by seven per cent to 4.1 billion euro (2016: 3.9 billion euro). As a result, its operating return on sales increased from 17.4 per cent in the previous year to 17.6 per cent. At the end of 2017, Porsche employed 29,777 people, representing an increase of eight per cent compared to the previous year. “This successful financial statement confirms our strategy. We are using our high earnings level to support an unprecedented future development plan,” explained Oliver Blume, Chairman of the Executive Board of Porsche AG, at the annual press conference. 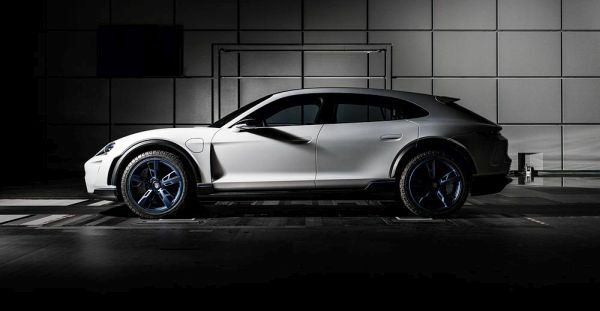 In addition to making sizeable investments in its core sports car business, Porsche is also doubling its expenditure on trends for the future, with a commitment to invest over six billion euro in electromobility by 2022. The money will be spent on derivatives of the Mission E, hybridisation and electrification of the current model range, as well as on developing a charging infrastructure and smart mobility. “We have succeeded in boosting our operating result by over 50 per cent within the last three years,” emphasised Lutz Meschke, Deputy Chairman of the Executive Board and Member of the Executive Board for Finance and IT. “With a profit margin of 17.6 per cent, Porsche continues to be among the most profitable automobile manufacturers in the world. This is down to continuous improvements in productivity, our stringent cost management strategy as well as our outstanding product range,” continued Meschke. Porsche also unveiled the 911 GT3 RS in Geneva. 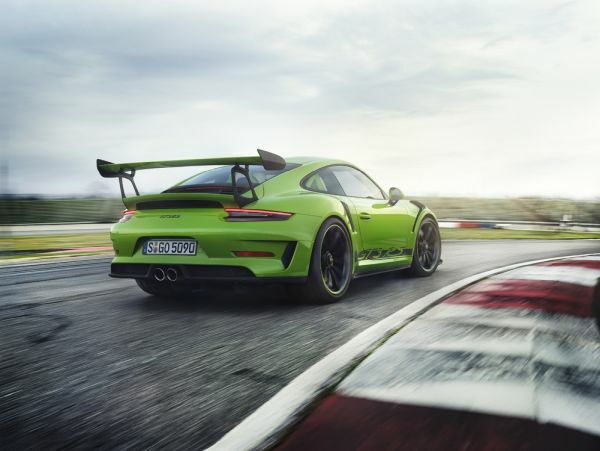 “The GT3 RS features the most powerful naturally aspirated engine Porsche has to offer,” said Oliver Blume, Porsche CEO. The new high-performance sports cars delivers 383 kW (520 hp) from a four-litre displacement, accelerates from 0 to 100 km/h in just 3.2 seconds and boasts a top speed of 312 km/h. Following the launch of the 911 GT3 and the 911 GT2 RS, this latest release saw Porsche present its third GT road-approved sports car within a year. Blume cites the subject of training by way of example. In 2017, 230 young people commenced training at Porsche. With the launch of the Mission E, the sports car manufacturer plans to increase the number of technical training again – from the current 106 to 156 in the future. A total of around 750 training places are currently available at Porsche. Through the integration year for refugees and the preparatory year, Porsche enables applicants who would have little opportunity on the basis of general selection criteria to gain foundation qualifications. Socially disadvantaged young people in South Africa and the Philippines are trained as part of a collaboration with Don Bosco. Sustainable business also plays a large role in its core business: Since January 2017, Porsche AG has used 100 per cent green energy. In addition, the sports car manufacturer is transforming its rail logistics transport into a completely carbon neutral process. In 2017, Porsche once again received multiple international awards for sustainable building. The company conducts its own internal audits to ensure that its suppliers implement the high ensuring sustainability requirements. In addition, the company intends to produce the Mission E using a CO2-neutral process.